When the holidays come around, one often thinks of James Brown. Why? He died the day after Christmas, and across the world, JB fans celebrate his legacy and discography. JB will live forever and so will his cohorts, who had the honor of touring and playing next to “Soul Brother # 1.” Bobby Byrd , Marva Whitney, Lynn Collins all are in soul heaven, but Bootsy Collins is still going strong. Maceo Parker, Fred Wesley & Pee Wee Ellis still tour. Vicki Anderson is still with us, and Martha High likewise is still with us and touring. Martha who? Yes, even for some who are JB diehards, that name is not clicking like the other names mentioned. Trust me, the real ones know her name and if you don’t, read on. Martha High was born Martha Harvin and grew up in Washington, DC. For thirty years, she performed backup vocals for JB. Then, in 2000, she left JB and hooked up with Maceo Parker. Her new album, Tribute To My Soul Sisters, backed by Japan’s premiere funk group, Osaka Monaurail, is just that and more. 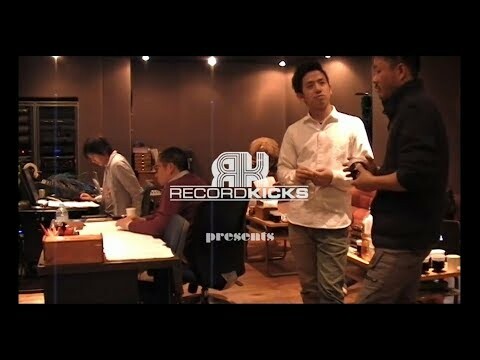 On the opening track “Think (About It),” you hear perhaps two of the most famous lines in hip hop: “Use what ya got, to get what ya want” and “It takes two to make a thing go right.” Cool C’s “The Glamorous Life” and Rob Base’s “It Takes Two” sampled those lines respectively, but it was Lyn Collins who first shouted those lines in 1971. Martha High has chops and on her version of the song she pays homage to Collins. “This Is My Story” was originally done by The Jewels, the group High joined in the ‘60s just before they were hired to tour with JB. High’s vocals come across as praise and possess a “what a time we had” kind of vibe. “I Cried,” a track originally done by Tammi Terrell, was a eyebrow raiser. Terrell had no connection to JB, but nevertheless, High pulls it off and makes you want to seek out the original. Marva Whitney and Vicki Anderson also get their due from High. 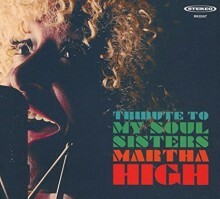 Martha High would have fit right in on the Academy Award documentary 20 Feet From Stardom. Makes you wonder why she never became bigger in the game. The same can be said for all of the female vocalists who performed with JB. Tribute To My Soul Sisters not only acknowledges former JB vocalists Lyn Collins, Marva, Vicki, and Tammi, but is a fine tribute to Martha High, who is still going strong and sounding great. Better late than never. This entry was posted in Rhythm & Blues, Soul, Funk and tagged 2018, 2018 music review, 2018 releases, Eddie Bowman, James Brown, Martha High, music review, Rap and Hip-Hop, Record Kicks, Soul, Think About It, Tribute to My Soul Sisters by aaamc. Bookmark the permalink.